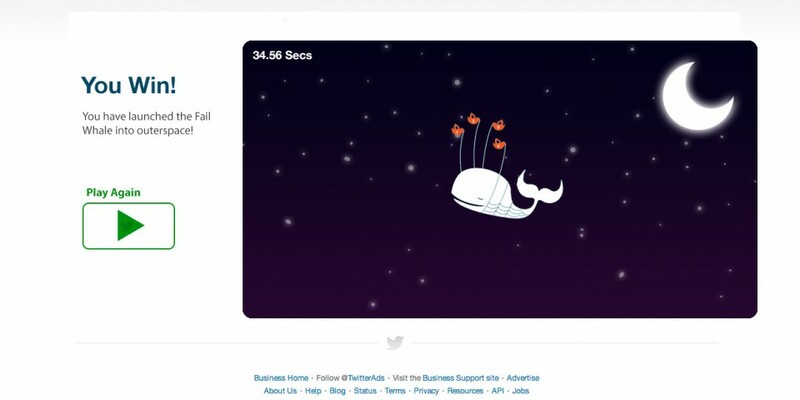 Twitter is down, and so is Fail Whale. Lift him up, up, and away. 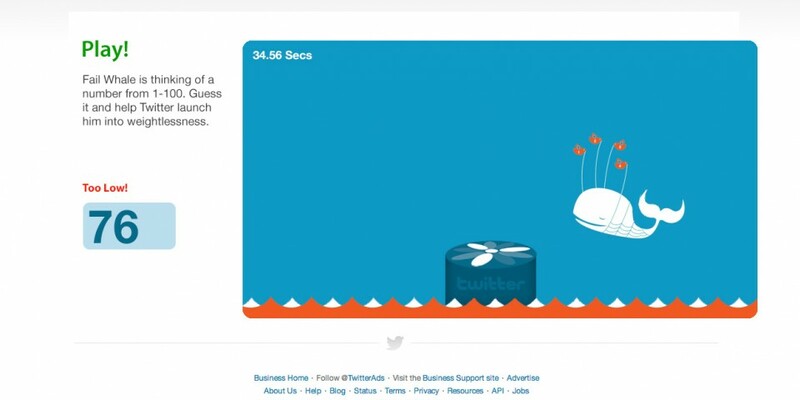 Go here to play. This mini project was intended to take a familiar game, ‘guess the number’ and apply a brand to it, attempting to stay true to that brand.